25 February 2014/Kiel. With global greenhouse gas emissions continuing to increase proposals to limit the effects of climate change through the large-scale manipulation of the Earth system are increasingly being discussed. 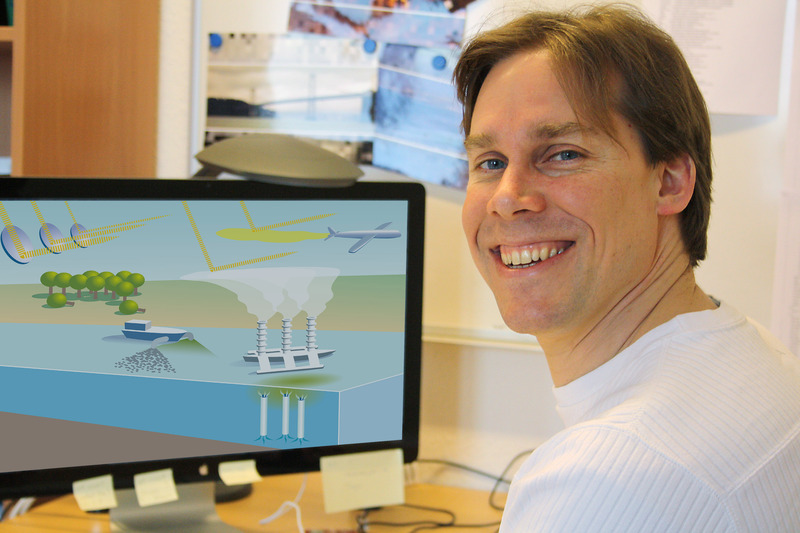 Researchers at the GEOMAR Helmholtz Centre for Ocean Research Kiel have now studied with computer simulations the long-term global consequences of several “climate engineering” methods. They show that all the proposed methods would either be unable to significantly reduce global warming if CO2 emissions remain high, or they could not be stopped without causing dangerous climate disruption. The study is published in the international journal “Nature Communications”. Despite international agreements on climate protection and political declarations of intent, global greenhouse gas emissions have not decreased. On the contrary, they continue to increase. With a growing world population and significant industrialization in emerging markets such as India and China the emission trend reversal necessary to limit global warming seems to be unlikely. Therefore, large-scale methods to artificially slow down global warming are increasingly being discussed. They include proposals to fertilize the oceans, so that stimulated plankton can remove carbon dioxide (CO2) from the atmosphere, or to reduce the Sun’s incoming radiation with atmospheric aerosols or mirrors in space, so as to reduce climate warming. All of these approaches can be classified as ”climate engineering”. ”However, the long-term consequences and side effects of these methods have not been adequately studied,” says Dr. David Keller from the GEOMAR Helmholtz Centre for Ocean Research Kiel. Together with colleagues the expert in earth system modelling has compared several Climate Engineering methods using a computer model. The results of the study have now been published in the internationally renowned online journal “Nature Communications”. ”The problem with previous research was that in most cases the methods were studied with different models using different assumptions and different sets of earth system components, making it difficult to compare the effects and side effects of different methods,” Dr. Keller says. He adds: “We wanted to simulate different climate engineering methods using the same basic assumptions and Earth system model”. For their study, the researchers chose five well-known climate engineering approaches: The reduction of incoming solar radiation, the afforestation of large desert areas in North Africa and Australia, and three different techniques aimed at increasing ocean carbon uptake. In parallel, the scientists also simulated future changes in the Earth system without climate engineering, based on the high-CO2 emission scenario used by the UN IPCC. Even under ideal conditions assumed in the simulations, the potential benefits of the various climate engineering methods were limited. Only a continuous reduction of solar radiation could prevent the Earth from warming significantly. The afforestation of the Sahara and the Australian outback, however even caused some additional global warming: “The forests removed carbon dioxide from the atmosphere, but at the same time the earth's surface became darker and could store more heat,” Dr. Keller explains of this phenomenon. All of the other techniques showed significant side effects, too. For example, the fertilization of the oceans allowed plankton to remove CO2 from the atmosphere, but also changed the size of ocean oxygen minimum zones. Another important question for the researchers: What happens if climate engineering is stopped after a few decades for technical or political reasons? ”For several methods we saw a rapid change in the simulated climate when climate engineering ended,” says Dr. Keller. For example, if after 50 years the sun's rays were no longer partially blocked, the Earth warmed by several degrees within a few decades. “This change would be much faster than the current rate of climate change, with potentially even more catastrophic consequences,” says Keller. The study is the basis for further research in the priority program “Climate Engineering: Risks, Challenges, Opportunities?” of the German Research Foundation (DFG), coordinated by co-author Prof. Dr. Andreas Oschlies from GEOMAR. “In addition to natural science studies, we also want to learn more about the potential social, political, legal and ethical aspects of proposed climate engineering methods. For one thing, this study clearly shows that there would always be many losers in addition to possible winners. Some side effects would even affect future generations. A decision for or against climate engineering thus would have to be considered carefully and be fully legitimized, and must thus be based on a much better understanding of possible effects, uncertainties and risks than we have today,” says Professor Oschlies. Can Climate Engineering Solve the Climate Problem?